Tech 21 presented Impact Base Case – a simple folio tablet case for the Apple iPad 2 and the new new iPad featuring unique protective capabilities. The Ultimate Impact Protection System includes two layers: the durable soft-touch TPU and the D3O – a military grade shock absorption material. Rest assured – your tablet is safeguarded from all sides. 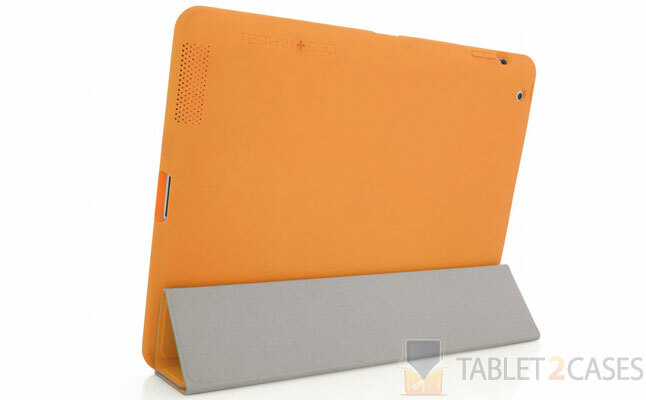 The new iPad case is extremely thin despite being highly durable: the D3O material is integrated in all main impact areas in the form of a thin orange stripe. 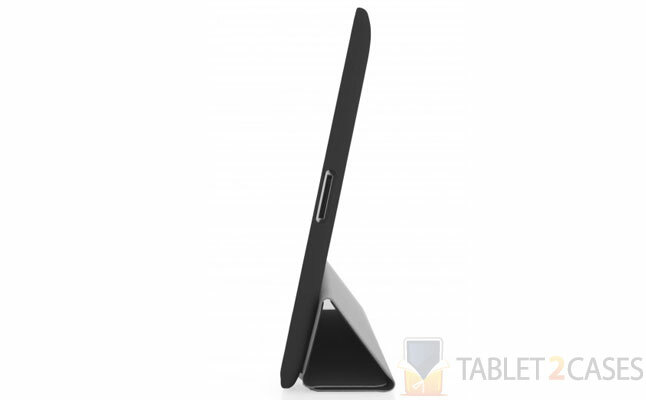 The slightly elevated screen bezel keeps the precious tablet screen safe even in case of a flat drop. The rubbery exterior material offers an extremely secure grip, eliminating the risk of a slip out. 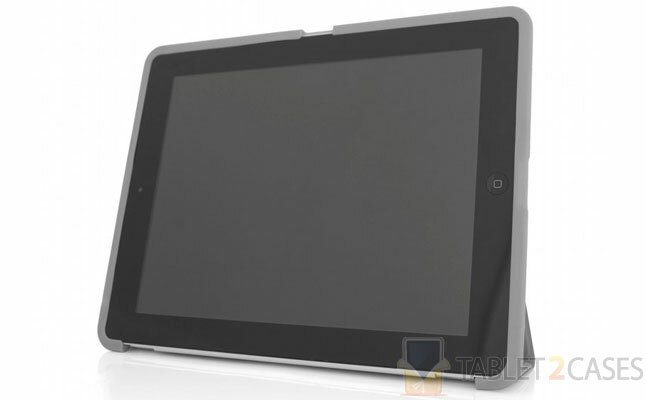 The combination of durable materials is not affecting the weight of the new Apple iPad 2 case: it remains just as lightweight as it is thin. All ports and buttons of the device are open to unrestricted access with the case attached to it. The price for this item is $64.